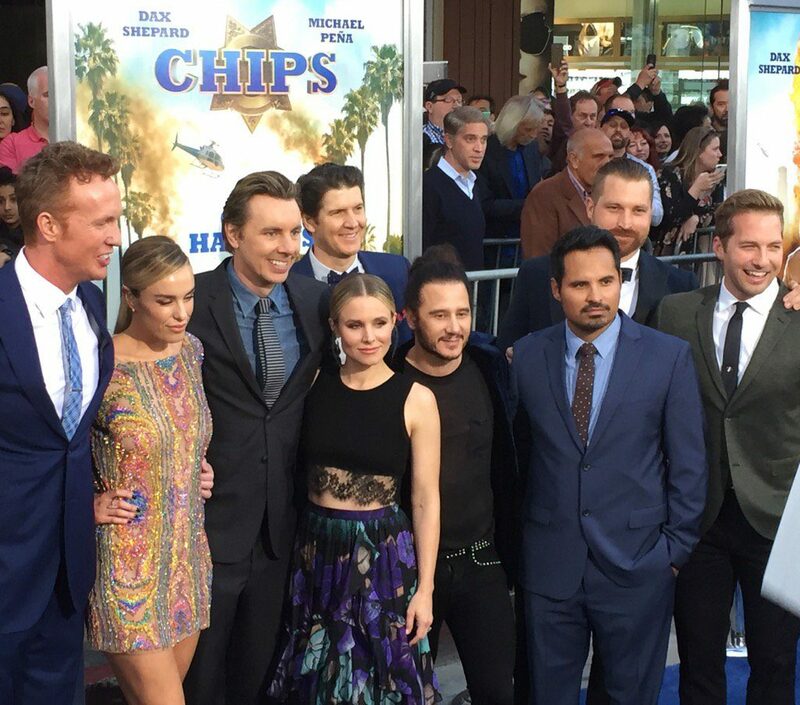 CHIPS premiered tonight at the TCL Chinese Theater in Hollywood, California. 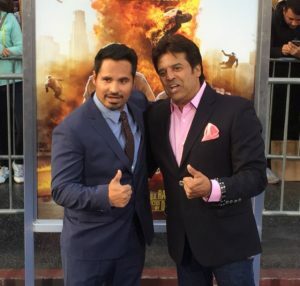 Lead actors Dax Shepard and Michael Peña walked the blue carpet. Shepard plays “Jon Baker” and also wrote and directed the movie. Peña plays “Francis Poncherello”. Original Ponch, Erik Estrada, was among those in attendance and is the only original “CHiPs” cast member to appear in the movie. Other cast members in attendance included Jessica McNamee (playing “Lindsey Taylor”), Ryan Hansen (playing “Brian Grieves”), and Kristen Bell. Others attending the premiere included Oscar De La Hoya, Joy Bryant, Aisha Tyler, Ted Danson, Doug Benson, Mae Whitman, Kaitlin Olson, Jason Ellis, Claire Grant, Seth Green, and White House Press Secretary Sean Spicer Melissa McCarthy. 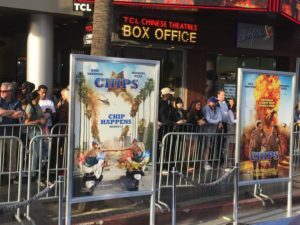 Based on photos posted to Twitter by @ChineseTheatres and @chipsmovie, it appears dozens of people turned up to catch a glimpse of the movie’s stars. Despite being founded in 1995 and being the longest running “CHiPs” site on the Internet, “CHiPs” Online was not invited to the premiere. A review of the film will have to wait until a later date. CHIPS opens in theaters on Friday, March 24th.